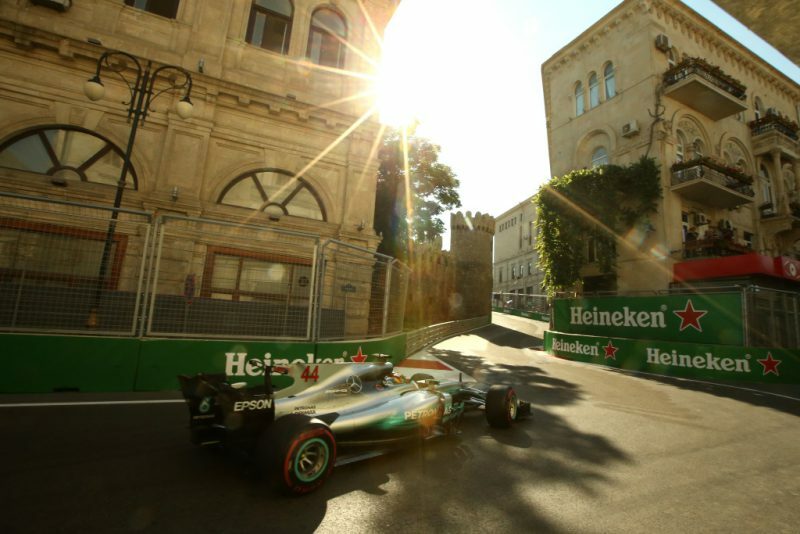 Lewis Hamilton has criticised the on-circuit behaviour of Formula 1 title rival Sebastian Vettel after the pair made wheel-to-wheel contact under safety car conditions in the inaugural Azerbaijan Grand Prix. With the race leader able to dictate the pace as per the sport’s regulations, Hamilton slowed to allow the safety car to leave the circuit prior to resuming the race, but took a hit to the rear of his Mercedes from Vettel behind. The four-time World Champion then steered his Ferrari alongside Hamilton before making a conscious turn to the right into the side of Hamilton’s Mercedes. Both survived the contact, though Vettel would be awarded a ten-second stop/go penalty by the race officials, whilst a pit for an unrelated headrest change ruled Hamilton out of contention as Daniel Ricciardo scampered to a fifth career victory for Red Bull. Hamilton would eventually finish fifth, just behind Vettel, but said at no stage had he planned to ‘brake-test’ the German. “I definitely didn’t brake-test Sebastian,” asserted Hamilton. Hamilton expressed hope that Vettel’s behaviour doesn’t set a poor example for emerging drivers in the lower categories of motorsport. “All the young kids in other series look up to us, as champions, to set an example and that is not the behaviour you expect to see from a multiple champion,” commented Hamilton.